Catch Air! The Bounceboard® won’t damage the trampoline or any other resilient structure it is used on. Large 34″ x 12″ x 2″ board size. Great for grab tricks! 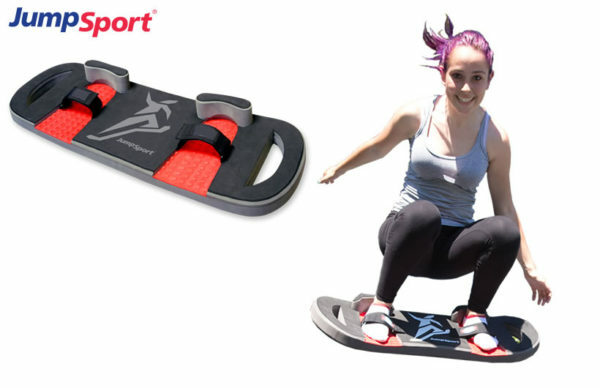 Practice snowboarding or skateboarding safely on the trampoline with this durable, Soft, Flexible, closed cell polyethylene foam board. Comes with an adjustable foot straps with heavy duty Velcro®-like closures & slip resistant bottom. 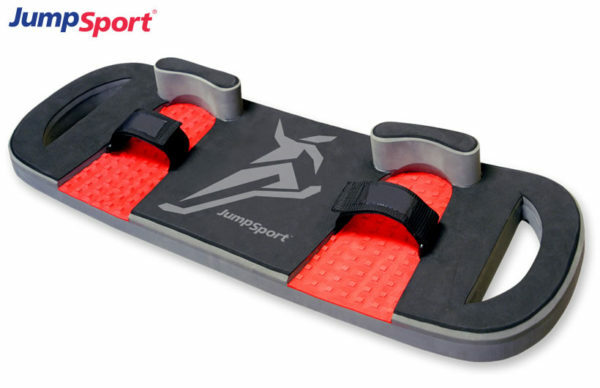 It is recommended that the JumpSport Bounceboard® only be used by advanced jumpers.